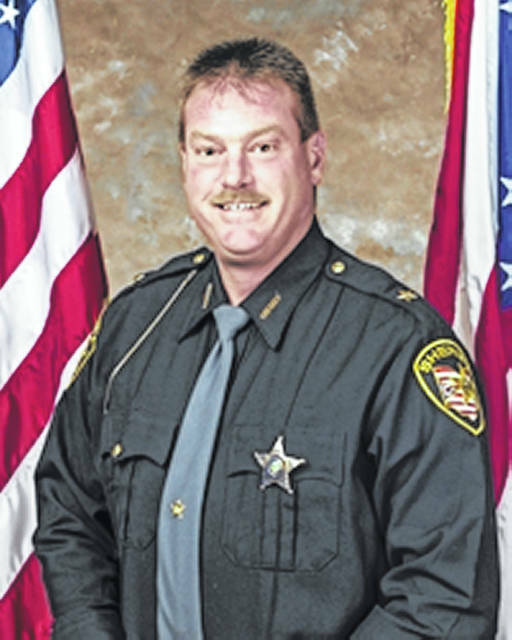 Pike County — The Pike County Sheriff is crediting old-fashioned road patrolling as keeping his community safe as those patrols are leading to breaks in numerous heists, involving drugs, an elementary school, and stolen cars. On Tuesday, the Sheriff’s office received a call that a car had been burglarized at Jasper Elementary and that two backseat DVD headrest players and movies were stolen. It’s something locals in rural Pike County only expect to happen in movies, but this Hollywood-style heist was all caught on campus surveillance video, and within minutes, the search was on. “When watching the school’s security camera footage of the burglary, Corporal Beau Romine noticed the car matched the description of one used in numerous other thefts and burglaries recently reported,” said Sheriff Charlie Reader. Reader said the black Pontiac G6 had a “BOLO” (be on the lookout) on it already from other thefts, but it was only shortly after the DVD theft that deputies patrolling the county on routine patrol spotted a man rummaging through the trunk of an identical parked car near the Long Fork Trailer Park. The man, later identified as James Widding, 25, Waverly, saw Deputy Jeremy Mooney driving by in his cruiser when Widding took off toward some nearby woods. Deputy Mooney saw the car and ran the license plate to the G6 and found that it came back to a different car — a 2000 Lexus — from Ross County. Mooney also ran the VIN number to the G6, but to no surprise, it too, came back stolen out of Ross County. Deputies and detectives converged on the area and launched a brief manhunt for Widding, who was caught a short time later at taser-gun point when he was found bedded down in tall grass with a hypodermic needle. He told deputies he was high, but that the syringe was not his. The DVD players were not located in the stolen car, but Widding was booked into the county holding facility on drug paraphernalia charges and may face more charges related to the stolen vehicles and the car burglary at the school. Sheriff Reader said this is just one more stolen car they have recovered in his county in recent days. Earlier last week, deputies were involved in a high-speed pursuit with Ohio State Highway Patrol troopers, who were chasing a stolen car — again — out of Ross County. When finishing up the pursuit, deputies saw a car barrelling down the highway almost hitting a deputy who was directing traffic. Deputies recognized the driver as a local man, Christopher Cottril, 41, Waverly, who gave a small chase to a nearby apartment complex before jumping out, leading deputies on a foot pursuit, and running into a nearby creek. In another road patrol crime apprehension, on Friday, deputies saw a man walking with a black ski-mask also near the Long Fork Trailer Park, who looked suspicious. When Romine stopped the man, the man became “nervous” and told Romine there was a black BB gun hidden in his waistband. Romine patted down the man and found numerous pills, including Xanax and Suboxone. The drugs were taken into custody and destroyed at the Sheriff’s office in the presence of another deputy in accordance with the Sheriff’s office’s policy. In another case, deputies on patrol took more drugs off the streets. Deputies saw two people walking along state Route 124, when one of the people ducked down to hide from the deputies on patrol. Both deputies, Romine and Deputy Oberer stopped and questioned the man and woman. The woman was found to have a warrant out of Chillicothe and was taken into custody.